The post you’ve all been waiting for . . . The final set of instructions in the Bouquets for Hazel Quilt-Along. Finally, you can finish putting your quilt together. And I can hardly wait to see them when you’re done! 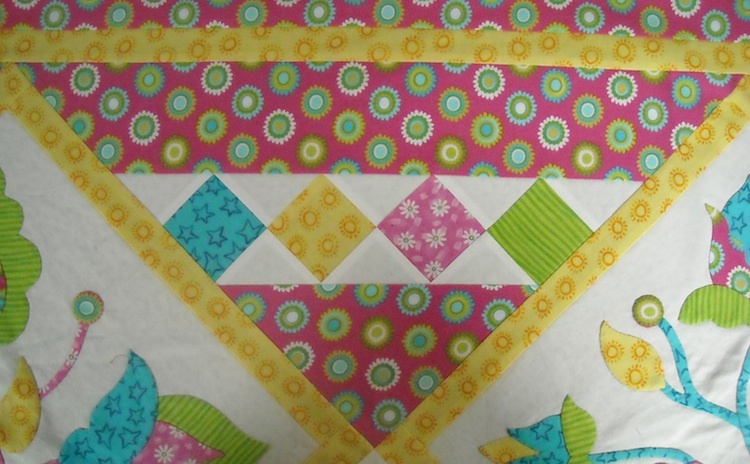 The final set of instructions includes directions for making the setting triangles . . .
. . . the corner triangles . . .
. . . and adding the borders to complete your quilt top. You can download the file containing the final instructions HERE. If you have not yet added the frames to your appliqued blocks, you will need to have this part done before you begin the final instructions. 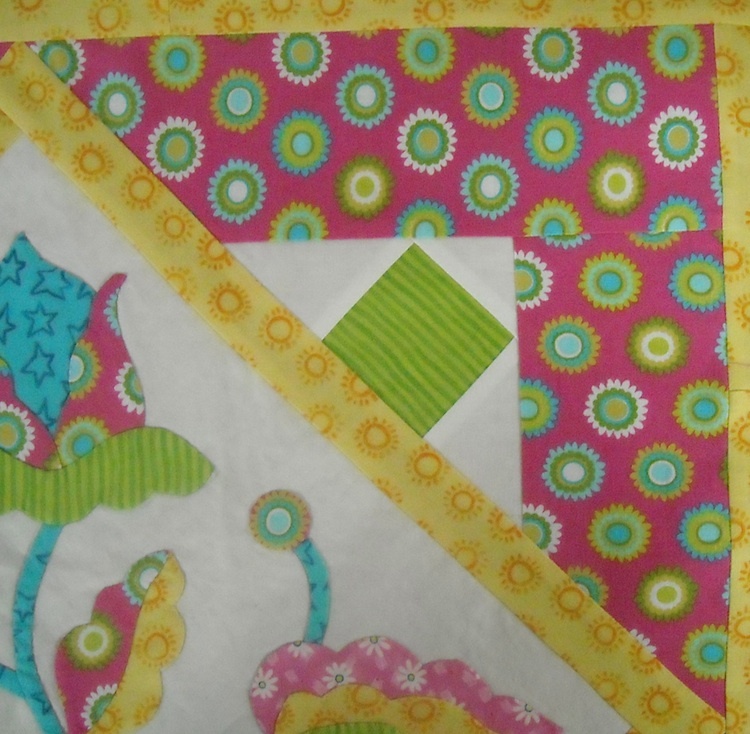 Information on adding the block frames can be found in this post: Before We Begin Piecing. And, as usual, if you have any questions or any trouble with any part of it, don’t hesitate to contact me for help. I’ll be back soon with more information. We’ll have a wrap-up of this Quilt-Along, and I’ll show you my finished quilted Bouquets for Hazel quilt. There might even be a give-away involved with the wrap-up, so you want to stay tuned. Also, if you’re a subscriber to the blog, please forgive me if you get inundated with emails saying I’ve updated. I’m trying really hard to get caught up on all the posts (instead of further behind, for a change). Because . . . the next Quilt-Along starts in July! Check back for more information on that one . . . coming soon! I just found your web site and like what I see. Is there anyway I can get the patterns for blocks 1 & 2? 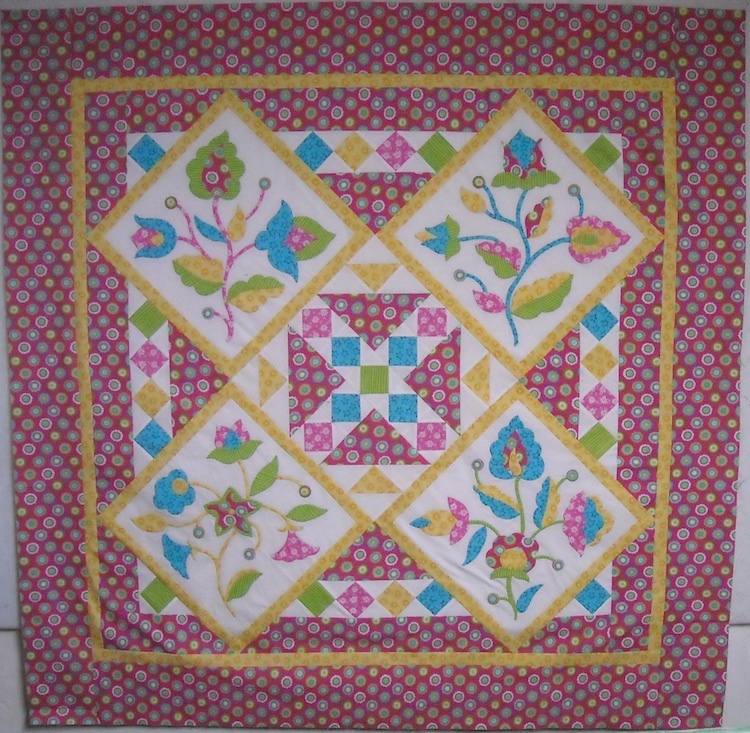 It is a pretty quilt.